Everpro Gray Away for (brown/med-blonde) offers an innovative solution to unique hair concerns. 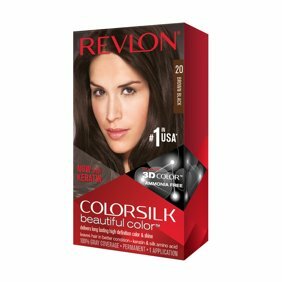 It allows you to extend the life of your hair-dye by concealing grays and providing a touch up at your hair's roots. This medium blonde hair color is also suitable for women with light brown hair. No mixing, no mess - just spray and go! Ingredients: Hydrofluorocarbon 152a, Butane, Ethyl Trisiloxane, Triethoxycaprylylsilane, Mica, Trimethylsiloxysilicate, Methyl Trimethicone, Synthetic Fluorphlogopite, Silica, Fragrance, CI 77491, CI 77492, CI 77499, CI 77000, CI 77015. Instructions: Shake well before use. For best results, apply to dry hair. Hold can 2-3 inches from hair. Move hand continuously back and forth until gray is evenly covered. Let dry 2-3 minutes. If product comes into contact with hands or skin during application, remove quickly with damp cloth and/or soap and water. Not for use on facial hair, eyebrows, or body hair. I just started to get a little bit of grays, this is a great product, it blends beautifully and it looks super natural... so easy to use when in a rush. I was worried it would "melt" in the sun or when i do exercise but it stays put for days! Great yo have on hand when you don`t have time for the hair dresser. I like this spray which covers all my gray hair which is my whole head but I use it to just spray several areas of my head so it looks like I pulled it through a cap. Works great and the price is not bad. I don't know how long this can will last but I date labeled to see because I get another brand from another store but it is much more expensive and seems to do the same thing so we'll see soon. covers grey and helps hide thinning hair. this product works, makes your hair stiff to comb through.